All these years and flights and I have never been lucky enough to have WiFi on a flight. Interestingly almost everyone else I know has experienced in-flight WiFi already. Thanks to Virgin America for their awesome GoGo Wireless service. 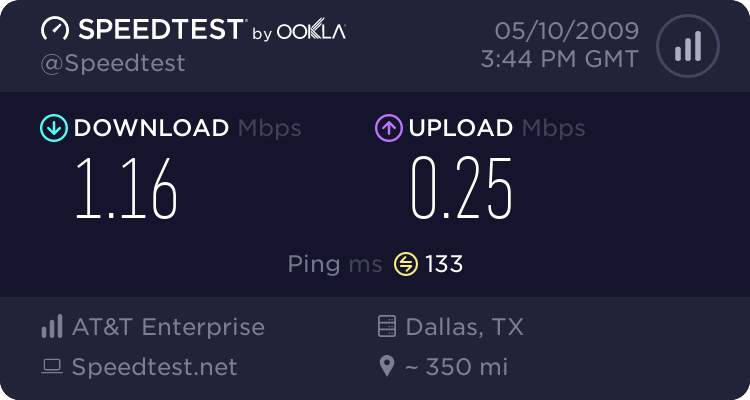 Here is a speed test from the air on the way to Vegas from JFK. It costs $12.95 and interestingly my coworkers and fellow passengers tell me checking online indicated this flight did not have WiFi meaning you too can be surprised by wirelss broadband in the air. It costs \$12.95 and interestingly my coworkers and fellow passengers tell me checking online indicated this flight did not have WiFi meaning you too can be surprised by wirelss broadband in the air.